I bite my nails. I'm a nail-biter. it's referred to as onychophagia (which has more syllables than you want it to; sound it out) when folks are trying to be nice about it, or trying to prove something about their vocabulary, or both, as is the case here. I used to say, "Well, could be worse. At least it's not smoking." Nail-biting won't kill you, but it ain't good for you. If nothing else, it can probably lead to your spouse wanting to murder you while you watch TV together. Just as an arbitrary, non-personal example, you understand. Onychophagia used to be considered a simple oral fixation, but in recent years has fallen within a spectrum of symptoms indicative of an obsessive-compulsive disorder. Self-diagnosis is a tricky thing. Especially when it comes to acronyms. Diagnoses have trending cycles, and at various times OCD and AD(H)D have been right up there with autism and Tourette syndrome as "popular" self-categorizations. Heck: After the film As Good As It Gets had Jack Nicholson charming us with unabashed compulsions, OCD was Diagnosis Most Likely to Succeed for the year, and beyond. It's become a popular riff for folks justifying their care for the details. I don't take pride in living with an MOCD (a maybe obsessive-compulsive disorder). I worry over it, in point of fact, and work on improving it as best I can. I did my best with the nail-biting back in the early fall of 2002. I had been cast in a regional-theatre production of The Glass Menagerie as the notorious "gentleman caller," Jim O'Connor, and in the heyday of my youthful exuberance was actively engaged in obsessing over the part. This included purchasing a pack of unfiltered Lucky Strikes (a poor decision), and abstaining from nail-biting (a better choice) in testament to young Jim's professed obsession with self-improvement. I entered therapy for the first time at the ripe-young age of 16, but not in the interests of self-improvement. Rather, it came from an assessment by a pair of psychologists who - following an introductory session instigated by my mom and involving my whole family - recommended that I and my father start talking to someone. Separately. We had had a row that resulted in my socking our front door, which resulted in a broken hand, and they and my mom were right. Dad and I were not equipped with the tools necessary to handle where we had arrived in life. We both needed to speak with someone who could give us a little perspective. My therapist, after a short time, diagnosed me as suffering from OCD. Or, she almost did. This initial hypothesis was mentioned in conjunction with putting me on a medication for it, in response to which I yelled at her. I had already been on something since I started high school - Tegretol, which I loathed and resented - and my therapist very astutely surmised from my noisy response that perhaps the previous diagnosis and its impact on my psyche was a more useful area on which to focus, rather than my compulsive coping mechanisms. So, no more talk of medication with her (she in fact took me off the Tegretol, for which I will ever be grateful), nor of my possible OCD-ed-ness. Instead, we talked about growing up, independence, and how we build context for ourselves as we lose the authority of our parents to do it for us. It was splendid. It was also one of those moments in my past that seems to me to be a divide in the road, where everything could have very easily gone in a completely opposite direction. I can't remember where exactly I got the idea for the gentleman caller to be a coin-flipper. Perhaps it was off the "Lucky" Strikes notion; perhaps it was his Believer archetype; perhaps it was the somewhat dandy interpretation of him that arose from rehearsal. There's also some potent lunar imagery in the script that I have a faint memory of having informed my choice. Or, perhaps, it was my nod to his needing a compulsive replacement for smoking when he was in the Wingfields' apartment. What I do remember was how I came to be using an authentic prop. A board member and eventual friend - let's call him John - noticed my choice, and offered the use of one of his antiques. (Is currency "antique"? Seems like anything nearly a century old and metal should qualify.) 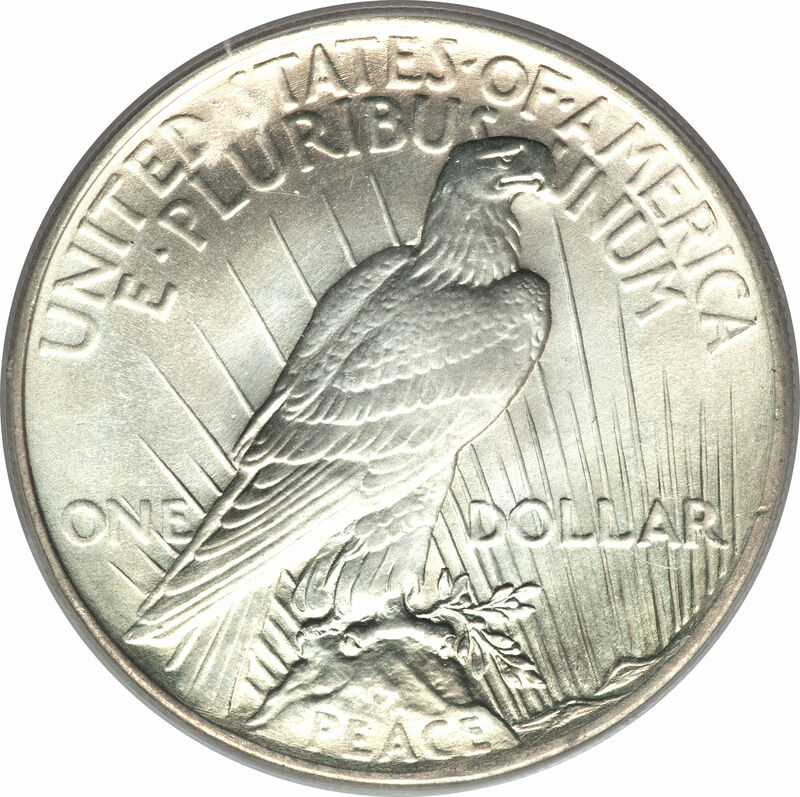 This is exciting to me to consider even now, so you can imagine how thrilled my twenty-four-year-old self was to hold in his hand the surprising weight of a 1924 Peace Dollar. 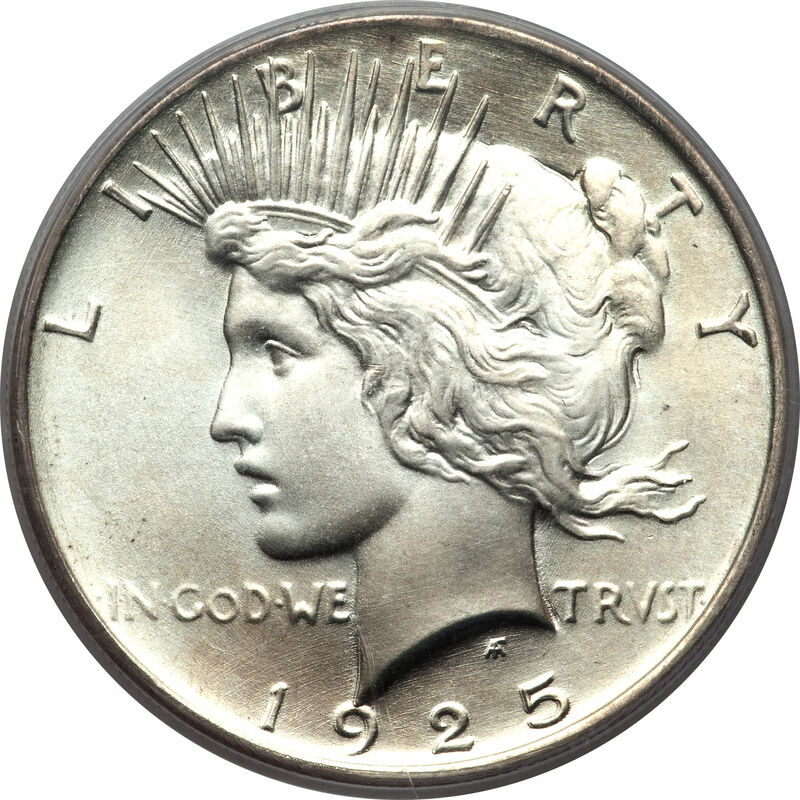 The Peace Dollar is more colloquially popular as the "liberty dollar," emblazoned as it is on the heads side with a profile of haloed Liberty, her name held out in relief, interlacing her crown. John is a recovering alcoholic (who used to smoke like a chimney) with incredibly good taste and a classical education. It's he who taught me the word onychophagia. He gave me the coin after the production closed, and I have it to this day. Recently, I've been using it to ease my nail-biting addiction, free me from my compulsion, aspire to some late-stage self-improvement. This device is not without its own hang-ups, of course. As I flip the minted metal around my index finger while I walk the streets of New York, I'm preoccupied not only with the understanding that it's an affected substitution at best, but with anxiety over dropping it, scarring it, losing it down some grate or other. Anxiety, as it may go without saying, is not a great antidote to compulsions. And truthfully, there is not to be found in any number of twirls of a coin that same weird, brief, irresistible, psychosomatic ecstasy that follows a bite. Add to that my inescapable association between this coin and a particular Batman foe, and the whole thing seems a bit ridiculous to me at times. There's a flip side, however. (Yup. Did. Deal with it.) The coin reminds me of many things as it softly paws at the obsessive itches: the success of the time it was my character's prop; the AA medallions so many carry with them as constant reminder; the savory substance of truly substantial things. It's not a solution. It's imperfect. It merely gets me by. But in some cases, getting by is the whole point, the best accomplishment. For addicts, each day lived without indulging in the addiction is an accomplishment. You can see yourself under such circumstances as being oppressed by constant temptation, cursed with necessary vigilance, ever-watchful lest you slip and entrap yourself in the terrible, steep gulley of obsession. Flipping your coin (or chewing your gum, smoking your smokes, etc.) can take on a panic akin to a sensation of punishment for being weird, flawed, imperfect. Habit as cage. I don't think, however, that's how John sees his situation, nor most successful addicts in general. I believe they've come to perceive the absence of indulgence as the actual freedom from oppression. In many ways, addiction and obsession are crutches for avoiding what life really is - free. Incredibly free. Frighteningly free. Out of control, surprising, as apt to turn on a dime (or dollar) by itself as it is to be completely up-ended by someone - maybe even by ourselves. We're at liberty to do with life as we will. I'm just trying on a daily basis to approach it with a little more of that will, with intention, and a little less compulsion.